Pokemon Go has a new mythical quest line. This time around, it's Celebi that is the highlight, and is being offered up as a reward for completing the new "A Ripple in Time" quest. The quest in question is comprised of eight steps, each with its own set of rewards. Complete all of them, and you get to catch Celebi in Pokemon GO, which I'm sure we can all agree is well worth the effort. 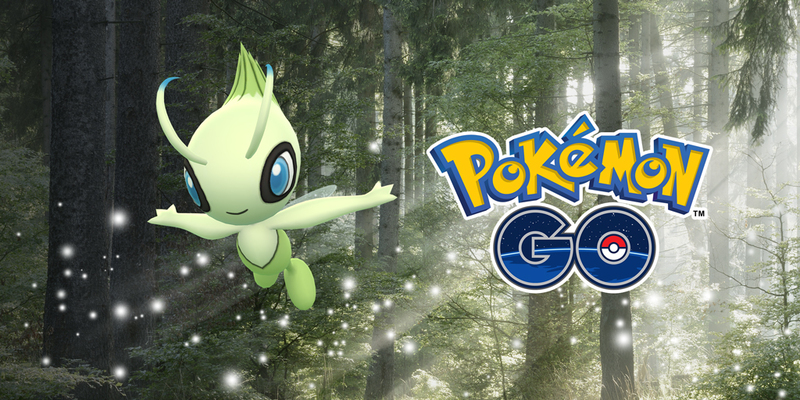 In this Pokemon GO Celebi Guide, we've listed all of the Celebi Quest Steps and Rewards so that you can easily breeze through it and get yourself a Celebi in Pokemon GO. For more helpful info on Pokemon GO, be sure to head on over to our Pokemon GO Guides Hub. It's got everything you'll need to be the very best, from raid tips, to trading info and beyond. Celebi has just been added into Pokemon GO, by way of a Special Research Quest. The quest is called A Ripple in Time and involves completing a series of tasks in order to catch Celebi. We've got all of the details you need right here. So What's so Special About Celebi Anyway? Is Celebi Viable for PvP Battles? To bag yourself a Celebi in Pokemon GO, you'll need to complete the Celebi Quest called "A Ripple in Time". It is made up of eight separate steps, each with three objectives to complete. The objectives range from simple distance-covered tasks, to more complex evolution requirements. We've listed all of them below, step by step, so that you can complete everything a little faster. We've also included the rewards you'll get for completing each step. Trainer, you've been such a help in conducting Field Research and Special Research! I have a feeling that there's so much more about this world that we've yet to discover, and I'm glad I can count on you to see it through. I've been doing some experiments of my own, and I suspect that I'm onto a further exciting discovery about another Mythical Pokémon that's rarely seen. Would you mind completing these tasks while I conclude my studies. Wow, you and your Pokémon have some amazing power! But according to my most recent data, it seems that the Mythical Pokémon I'm tracking only appears in times of peace. Also, from what I've gathered, it seems fond of forests and lush greens. Would you mind exploring this further, Trainer? Excellent work, Trainer! I feel we're getting closer to this Mythical Pokémon. I wonder if we can find some more friends for it by hatching some Eggs. Ah, and maybe you could put that Sun Stone you've earned to good use as well? Oh wow, is that an Eevee you've caught? Perfect timing! Did you know that this Pokémon's unstable genetic makeup enables it to take on one of several different Evolutions? I'll bet if you spend some time with it during the day, you'll be able to evolve your Eevee into an Espeon-a Psychic-type Pokémon just like the Mythical Pokémon I'm researching! Trainer, I have some exciting news! That funny feeling hasn't returned, but I did some important reading and learned that the Mythical Pokémon we're researching has the ability to travel across time! Maybe that's why all of this is occurring...or recurring... Maybe this Pokémon is nearby?! I suggest that you collect samples over the course of the next week and experiment with some Evolution items to see whether that feeling occurs again. While you're at it, do you have any Pinap Berries? My research could benefit from more data on their use. Return with that, and you can have these exotic Silver Pinap Berries! This data is so helpful. Thank you! I'll use it to explore my theory. While you were in the field, I made more headway in learning about this Mythical Pokémon, and it seems that its mere presence causes grass and trees to flourish. I think if you catch more Grass-type Pokémon, this elusive time-traveling Pokémon will reveal itself! Trainer, what an amazing experience! The appearance of the Mythical Pokémon Celebi is thought to be a sign that a bright and shining future awaits us. You've come a long way in your research, and I must say you're inspiring me to discover even more Pokémon. Until next time, Trainer! If you've loaded up Pokemon GO and can't seem to find where the Celebi quest, you will need to do a few things to trigger it. First off, the Pokemon GO Celebi Quest will only become available once you've completed at least three steps in the Mew quest line. Doing this will trigger the Celebi quest for you. Looking at all of the steps involved in catching a Celebi, you might be wondering what the big deal is, and whether it's all worth it. Well, the answer really depends on how serious you are about filling up your Pokedex, as it's hard to argue how important it is to have a Celebi now that everyone else is picking it up. At the very least, Celebi is a mythical Pokemon so could be valuable in trades, and will likely become relevant again in the future, just like Mew has. Now that PvP battles have been added into Pokemon Go, it's worth looking at Celebi's place in the meta. Unfortunately, Celebi is a pretty weak pokemon for battling, due to being a grass and psychic type with bunch of easy to exploit weaknesses. Celebi doesn't currently have any Grass moves either, with an electric attack in Charge Beam being the only interesting addition here. Best to admire Celebi for what it is then, a neat and rare mythical pokemon that's cool to have in your collection. That's all the info we know about the Pokemon GO Celebi Research Quests so far. We'll be updating as we learn more, so be sure to stay tuned for further updates. For tips on how to evolve Eevee in Pokemon GO, head over to our Pokemon GO Eevee Evolutions Guide. You should also head over to our Pokemon GO Trading guide for info on trading, Lucky Pokemon, and more!